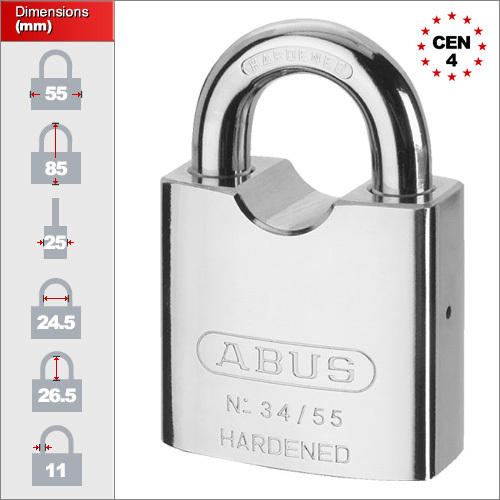 This padlock contains anti-drill cylinder protection, a hardened alloy steel body and ball-bearing locking shackle. It is insurance approved up to a CEN Standard grade 4. All our padlocks are delivered with 2 keys each inclusive of the price. If you require additional keys but if you require additional keys they can be ordered by clicking here. 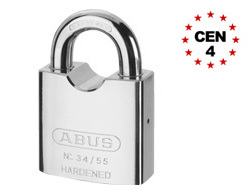 We currently only offer one size of Keyed Alike Hardened Steel Padlock.